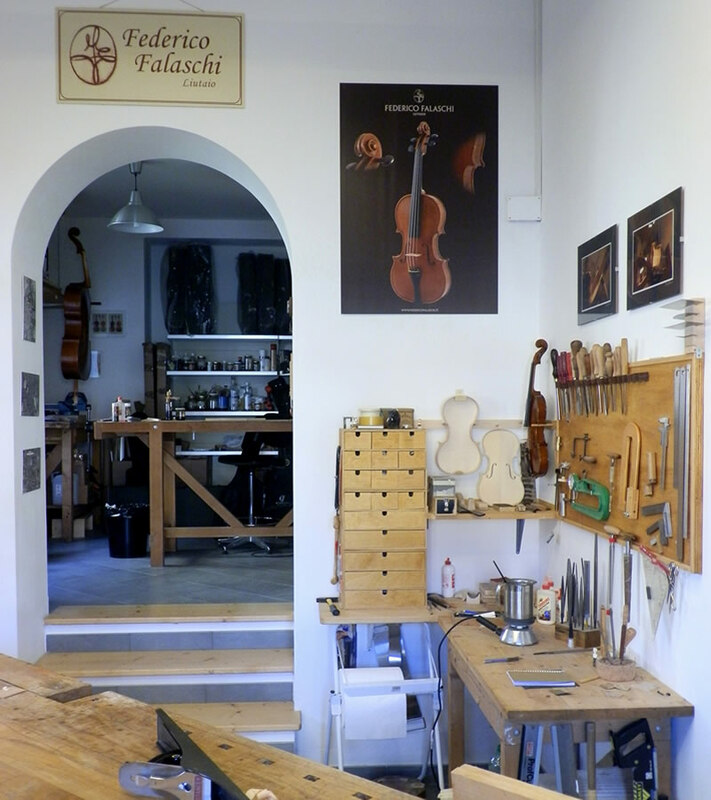 The day when as a boy I went into a violin making lab, I was really bewitched and fascinated. The first thing that strikes you is the smell that you breathe, the smell of wood, varnish, resins, essential oils. A laboratory does not furnish but it comes by itself, working on it, taking so over time the character, style and taste of the luthier. The lab in Pistrino is the second one that I had the pleasure of setting up after that of Modena, and I realized how important it is to take care of the space in which we move and live every day. Choosing the bench position according to the light, have the equipment displayed in a comfortable and practical way, an area for the construction and another one for repairs and restoration of musical instruments. The colors in my lab are those of the wood in a black and white background, and the music is always played.